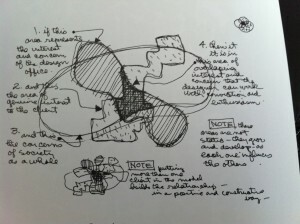 How do designers get ideas? Perhaps they spend their time searching for clever combinations of forms, fonts, and colours inside design annuals and monographs of other designers’ work. But, here’s something for those looking to challenge the cut-and-paste mentality. 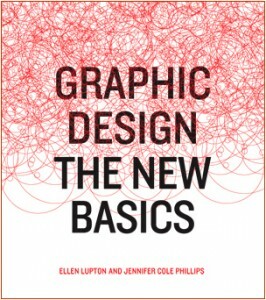 In Graphic Design: The New Basics, Ellen Lupton, best-selling author of such books as Thinking with Type and Design It Yourself, and design educator Jennifer Cole Phillips refocus design instruction on the study of the fundamentals of form in a critical, rigorous way informed by contemporary media, theory, and software systems. It is meant to inspire more thought and creativity. Through visual demonstrations and concise commentary, the book looks at structures ranging from point, line, and plane to scale, hierarchy, layers and transparency. 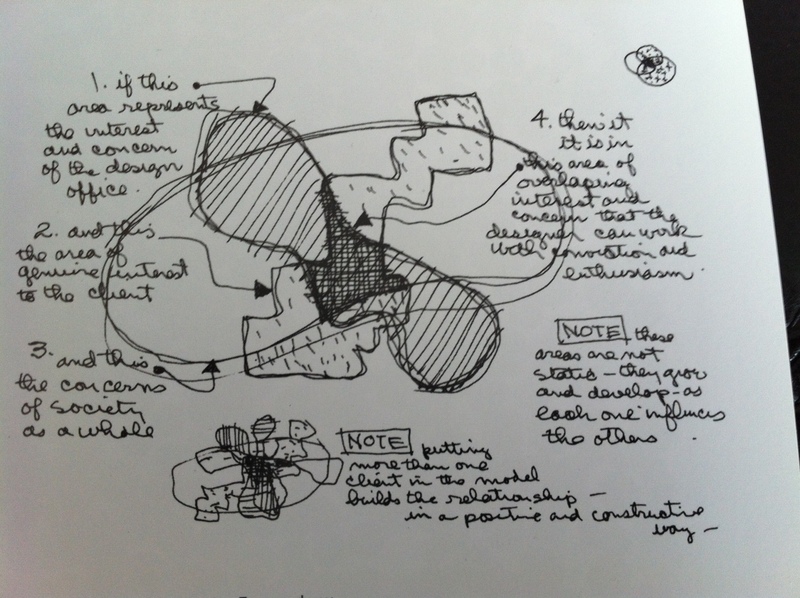 Diagramming Process: Charles Eames drew this diagram to explain the design process as achieving a point where the needs and interests of a client, the designer, and society as a whole overlap. There aren’t any exercises or demonstrations involving parody or cultural critiques, rather the book shows how to build richness and complexity around simple relationships. The book is both informative and inspirational.